"I am a Phoenician, not an Arab," asserts 20-year-old Lebanese student Rebecca Yazbeck when asked to define her identity, with nothing more than conviction to back her claim. But fellow Lebanese Shehade Seqlawi feels differently. "There is no question that we are Arabs," says the 50-year-old chauffeur. "We live in an Arab environment." A debate over national identity has raged in Lebanon since the start of the 20th century with many Maronites claiming direct ancestry from the Phoenicians in a bid to stand apart in the largely Muslim Middle East. 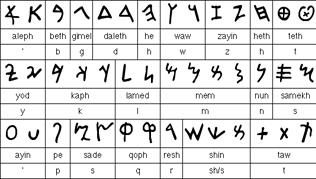 The Phoenicians were an intrepid seafaring people and tradesmen largely credited with creating the first widely used alphabet. With the onset of the civil war in 1975, the debate over identity became more acute as the term Phoenician started being bandied about as an ideological weapon and a means to differentiate Christians from Muslims. But various scientific studies in recent years have served to debunk the idea that Phoenician ancestry is related in any way to religion or a specific nationality. "You can be Muslim or Christian and carry a Phoenician signature," said Pierre Zalloua, a Lebanese scientist who has carried out research to trace the genetic origin of Middle Eastern peoples. He notes that populations across the eastern Mediterranean coastline -- Syria, Lebanon and the Palestinian territories -- share much of the same genetic makeup. "The Phoenicians lived before monotheistic religions and geopolitical divisions," said Zalloua, whose research has been published in the American Journal of Human Genetics and Annals of Human Genetics. At least 30 percent of Lebanese, regardless of religion, have a genetic "stamp" that bears the mark of the Phoenicians, he told Agence France Presse. "It was very surprising to find that after thousands of years there are still so many traces of Phoenician genes," added Zalloua, who collects DNA samples to trace genealogy. "This shows that we are all not so different from each other." But no science will convince some Lebanese, like Yazbeck, that they are anything other than Phoenician. "Of course I am first and foremost of Phoenician origin," insists the green-eyed blonde. "I don't think the Lebanese are Arabs," she adds. "Civilizations have evolved, but we have been here for centuries." An article in the Lebanese constitution drafted in 1943 stipulated that Lebanon was a country with an "Arab face". This was replaced at the end of the civil war in 1990 with an article labeling it "an Arab country." The ancient Phoenicians traversed the seas as early as 1200 BC, passing through what are today Lebanon, Spain and Morocco via Cyprus and Carthage, a thriving city which they founded in modern-day Tunisia. The Lebanese port city of Tyre was the main city-state in Phoenicia, which covered roughly the same area as modern-day Lebanon. Among the other main centers of the civilization were Byblos, Sidon and what is now Beirut. Historian Boutros Labaki argues that while the Lebanese today agree on the fact they are Lebanese, they differ as to whether they share a common identity. "The decades-old debate over how you define yourself as a Lebanese persists," he told AFP. "In order to promote its own political project, each community has sought to legitimize itself by forging an identity to mobilize its supporters." This means that while Yazbeck and Seqlawi agree they are both Lebanese, they differ as to their origin, giving rise to wry comments and bemusement among Arab states and other countries. For Marianne, a friend of Yazbeck who refused to give her last name, there is no two ways about it. "We can't deny our Arab identity," said the 22-year-old. "But we're not really Arabs. "We're more open than others."